12 Days of Fun Facts - Day 3, And A Giveaway! Santa's got his reindeer...and believe me, Mrs. Claus doesn't always appreciate the money we spend on vet bills, food, and shelter for those animals. But she realizes that even in this age of amazing transportation technology, some traditions should live on. And the darned things give us a lot of joy. I'm sure a lot of you have pets also, and you and I know how much happiness they bring. 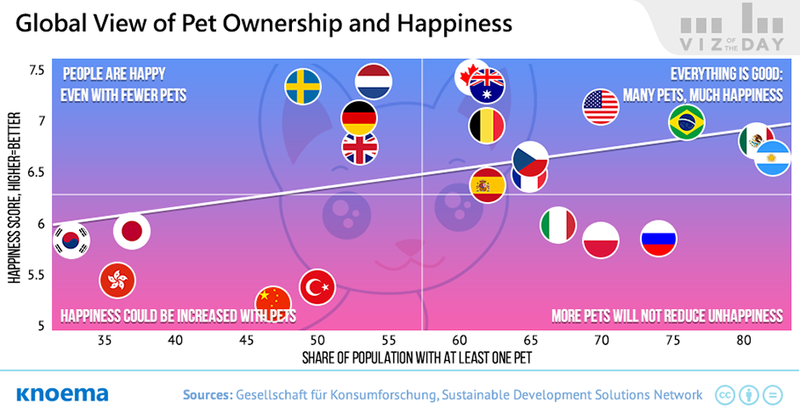 Of course, Santa is a little bit of a data junkie, so I found some interesting information that shows just how much happiness our pets bring us. PS, there's a link at the bottom of the article to enter our first "12 Days of Fun Facts" giveaway. It's your chance to get the jump on Santa with a cool gift from the great people at Artifex Financial Group via Amazon.com.